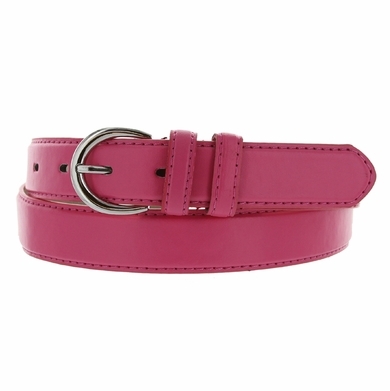 � Women's Dress Belt 1-1/8 inch wide made of soft, genuine leather. � Features two belt loops and a contemporary silver fashion buckle. � Available sizes include: Small (30-32), Medium (34-36), Large (38-40), XL (42-44).